Provides financial information to management by researching and analyzing accounting data: preparing reports. Complies with national financial legal requirements by studying existing and new legislation, enforcing adherence to requirements, and advising management on needed actions. Prepares periodic financial reports by collecting, analyzing, and summarizing account information and trends. Support development of budgets during proposal development and activity implementation. Ensure annual audits are performed and provides relevant documents to auditors. These are full-time positions and flexibility will be needed. 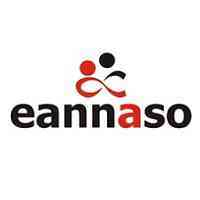 If you believe you can clearly demonstrate your ability to meet the criteria given above, below 40 years old and ready for a challenging job, please submit your application letter and a detailed CV with e-mail address, three references and telephone contacts quoting the job title/reference in the subject field to eannaso@eannaso.org cc admin@eannaso.org by 20th April, 2019.